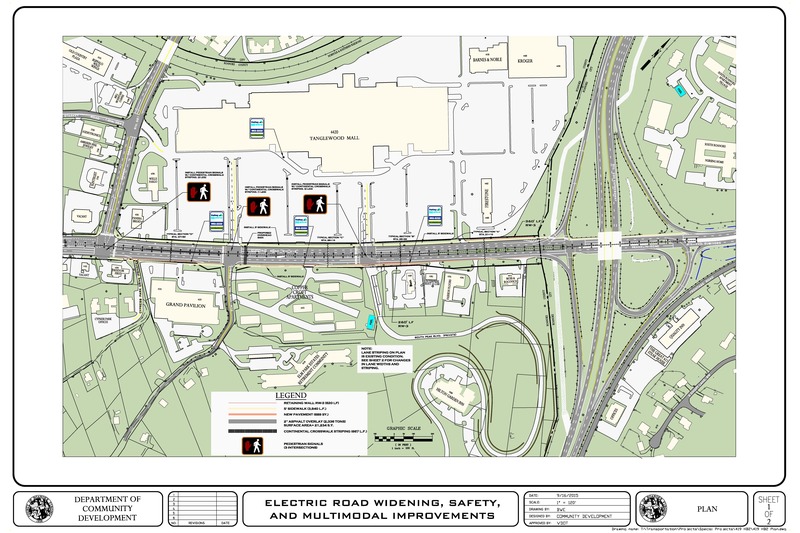 The congested area of Route 419, Electric Road, near Tanglewood Mall will be improved with an additional southbound travel lane, plus bicycle and pedestrian accommodations. Improvements will extend from the County line at Route 220 to Ogden Road. Preliminary Engineering is underway. VDOT held a design public hearing on Thursday, January 25th. The Right-of-Way phase is proposed to start in 2020 with construction proposed for 2021. Add one southbound, outside lane from Ogden Road to Route 220, Franklin Road, which will become southbound exit lane. Reduce pavement widths and add bicycle lanes to outside of the travel lanes. 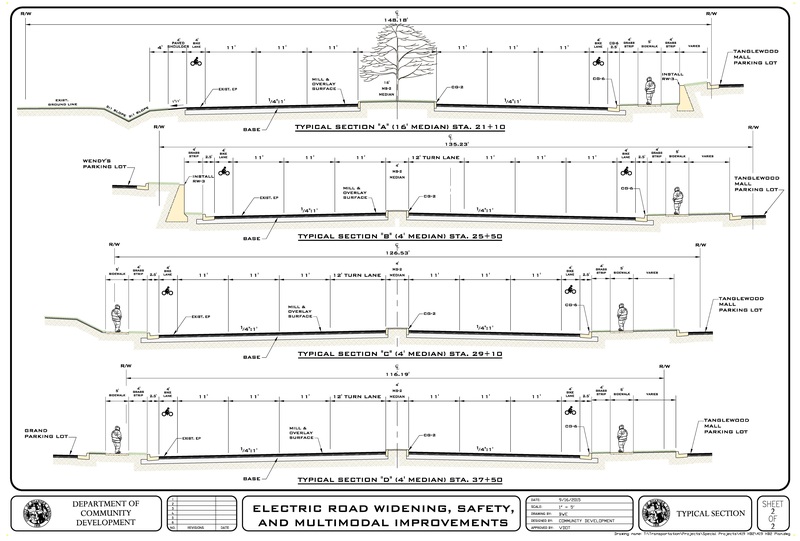 Add sidewalks on the Tanglewood Mall side from Ogden Road through the Route 220 underpass. Add sidewalks on the opposite side of the street from Ogden Road to South Peak Boulevard. Add pedestrian crosswalks and signals at Ogden Road, Elm View Road and South Peak Boulevard. Consolidate three bus stops into one bus shelter. On June 14, 2016, the Commonwealth Transportation Board approved the Fiscal Year 2017-2022 Six Year Improvement Program (SYIP). SMART SCALE, formerly known as House Bill 2, is a system for choosing and funding transportation projects in the Commonwealth of Virginia. The Route 419 Widening, Safety, and Multimodal Improvements project received $1 million in Highway Safety Improvement Program funds and $4.8 million in HB2/Smart Scale funds. Contact David Holladay, Planning Administrator, by email or by phone at (540) 772-2094.